Its coming to the DS. Those hoping for a hi-res, hi-def sequel of the PS2 classic Okami, keep hoping. 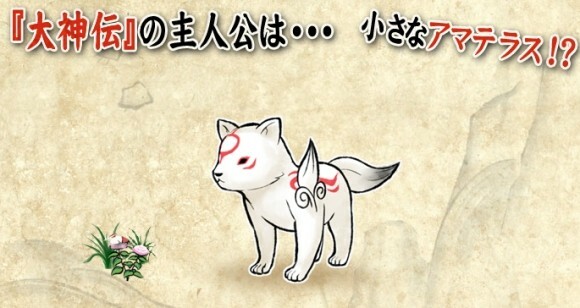 Capcom is making a new Okami, but for the DS. As predicted by 7-Eleven, your source for Japanese game news leaks, the new issue of Famitsu does feature an article on a new Okami game called Okamiden. That's a snapshot of the article, right there. Earlier this month, a mysterious (well, now less mysterious) Capcom trademark for "Okamiden" surfaced. Okami was developed by Capcom subsidiary Clover Studios, which has since been dissolved. The lead designer and producer founded Platinum Games and are now putting the finishing touches on Bayonetta. The one player adventure game is scheduled for 2010. Thanks Amy for the tip! Not bad looking for DS. I'm hope there will be a sequel to the Wii version that I'm still working my way through. Looks interesting. It does make some sense to make a DS version, but I'm also hoping for a sequel on the Wii... a Wiiquel? Looks and sounds good to me. Though I wish it was a console sequel. Man, the DS is nearly 5 years old and it still has a great list of big hitters coming... Mario & Luigi 3, Scribblenauts, Zelda Spirit Tracks, Golden Sun, Chibi-Robo, Okami, and I know I'm forgetting some others. Dragon Quest IX, though I've heard iffy things about that. Infinite Space. Tales of Hearts. Kingdom Hea... ok, no. It's pretty much JRPG heaven over the next year or so. And of course don't forget the Miles Edgeworth game. Consider me all in on this one!